Floorball is an exciting, fast-paced indoor sport played in teams of 5. 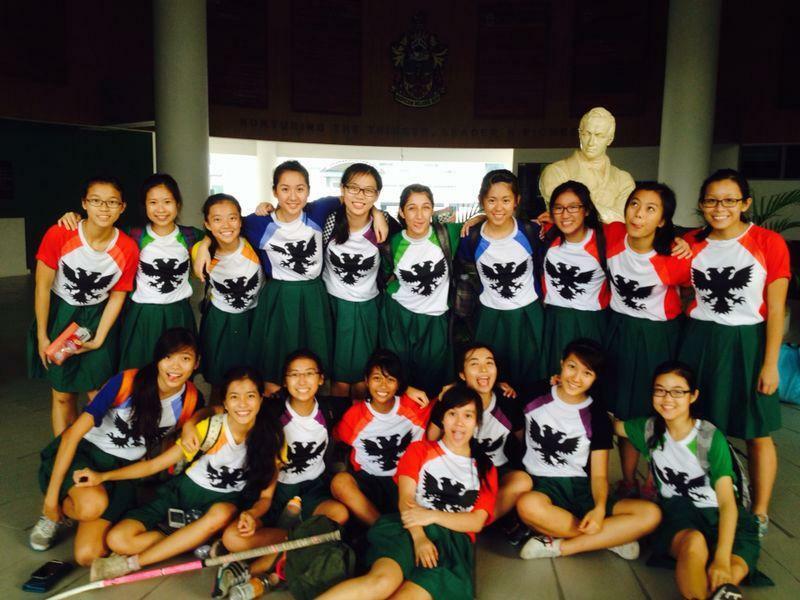 Founded in 2006, Raffles Floorball is a relatively young CCA, training under the tutelage of our coach, Ms Jill Quek. She is one of the top female players in the world, who is well known not just in local floorball circles, but also around the world, in traditional floorball strongholds such as Finland and Sweden. 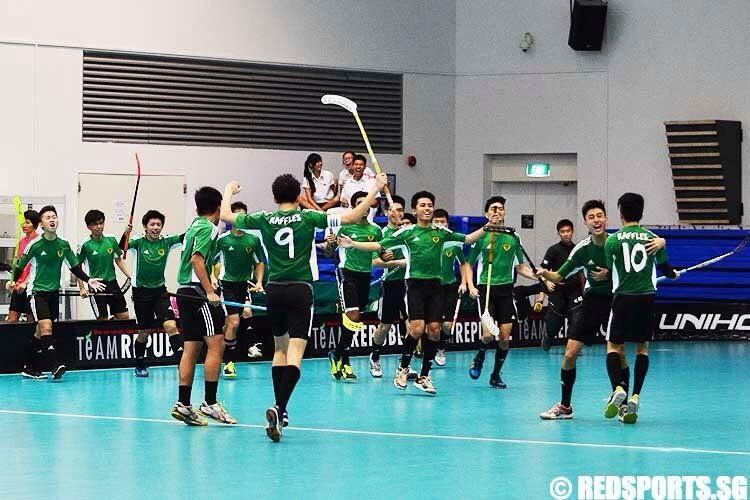 Raffles Floorball is regarded as one of the top few teams in Singapore, with the boys and girls team having a strong showing year after year. Trainings are held three times a week (Mondays, Wednesdays and Fridays) at the Indoor Sports Hall in the evening, usually starting off with drills targeted at honing specific skills required for the game. It then ends with a match to apply those skills. Along with fitness training and conditioning, our trainings shape players into well-rounded athletes. The team bonds through the physically and mentally tough trainings together, and not only supports each other during CCA but also outside CCA, where dinners after trainings and birthday celebrations are not uncommon. 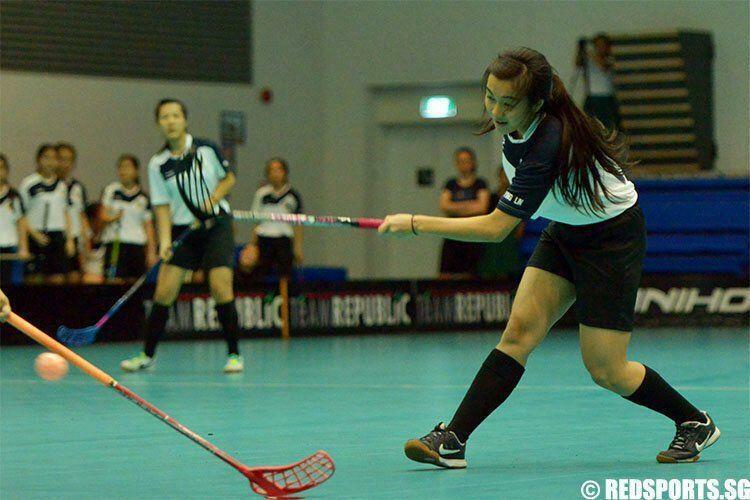 The peak period for Floorball is from March to May, where both the boys and girls teams compete in the National Inter-School Floorball Championships. Of course, there are many other opportunities for us to gain experience throughout the year, such as friendlies organised with floorball teams from other schools, NTU Floorball Open and NUS Tenses, where we get to play against players at the university level or even adults! Floorball is a sport which is relatively easy to pick up, with many of our players having little or no experience playing Floorball before, so it doesn’t really matter if you have a sports background or not! Hence our CCA is a great platform for both existing athletes to experience this exciting sport, as well as for new athletes who want a taste of the sports intensity and team dynamics that Floorball has to offer. If you have a passion for Floorball, our Floorball family gladly welcomes you! Great article that makes me want to join floorball as well. Give it a try people, you will really enjoy and have fun.